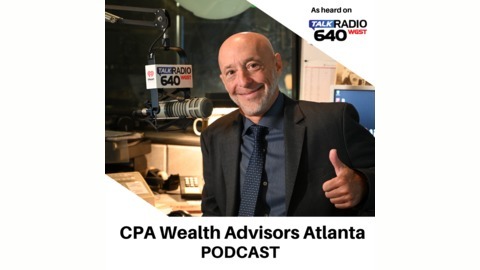 The CPA Wealth Advisors demonstrate the importance of developing a retirement action plan to maximize income, legally reduce taxes in retirement with strategies to keep your hard-earned dollars in your pocket. Your #1 goal in retirement is to stay retired. You don’t ever want to be in a position where you’re FORCED to return to work or become a burden on your family. That’s the worst-case scenario. How do you STAY retired? The answer is having a thoughtful and comprehensive retirement game plan. A key component of that plan is to have an income strategy that will stand the test of time, and increase over time, so you can maintain your same lifestyle in retirement. Do you have a stockbroker or financial advisor who’s helping you with retirement planning? If so, do you really know their credentials? Are your financial decisions being guided by someone who just wants to make a commission, or are they a “fiduciary?” It’s critical you understand the difference. Selecting a fiduciary translates to hiring a person or firm with a legal obligation to do what’s best for you; not what’s best for their wallet. Retiring successfully is no accident. It’s not about your “returns” or achieving some arbitrary number. It’s about a comprehensive RETIREMENT PLAN that addresses: risk, diversification, income, taxes, social security, healthcare, inflation, withdrawal strategies and so much more. Anyone living an enjoyable retirement didn’t get there by winging it. It’s not a matter of IF you need a plan; it’s a matter of WHO will help you create that plan. Contact the CPA Wealth Advisors to get a custom 5-Point Retirement Action Plan that identifies: 1) Concrete steps to protect your life savings 2) How to transform your savings into an income workhorse in retirement 3) How to potentially reduce your taxes in retirement and keep this money for yourself 4) How and when to wring every nickel from your social security benefits and 5) Why so many traditional retirement plans fail. Take control of your finances and your retirement income. 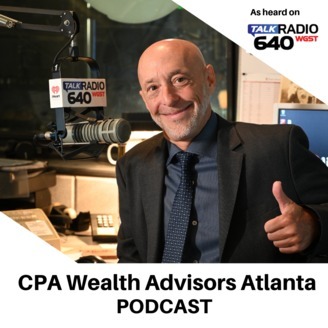 To get your FREE customized Retirement Action Plan, call the CPA Wealth Advisors at 678-671-3779. And How it Could Help You Save a Small Fortune! 5 Things You CAN Control That Could Give Your Nest Egg a Big Shot in the Arm! Sequence of Returns Risk. And the Devastating Impact it Could Have on Your Retirement!